No WordPress website is complete without Online WordPress Forms. Generally, Web Forms are used to offer your visitors a means of contact. For example, they can be used for Sales Enquiries, capturing Leads and for Mailing list building. In fact, you can bet that the Best Converting Websites often uses several types of forms in addition to the basic contact form. 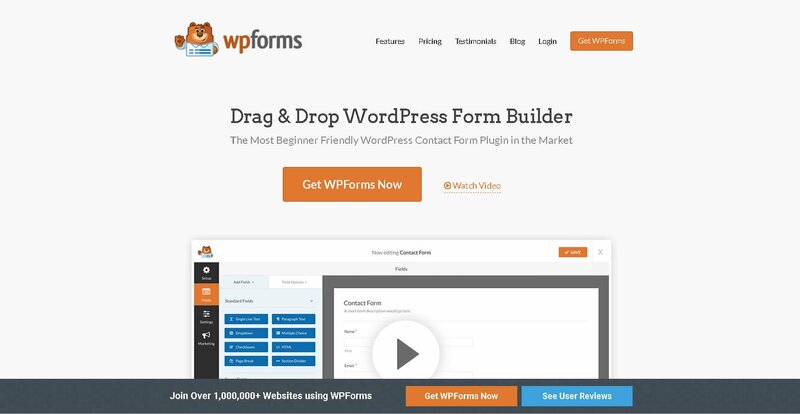 Particularly for WordPress Websites, there are several Drag and Drop WordPress Form Builders Plugins that can help you create anything from a simple contact form to complex advanced forms without any coding. In this article, we explore the Best WordPress Forms Plugins that WordPress offers. 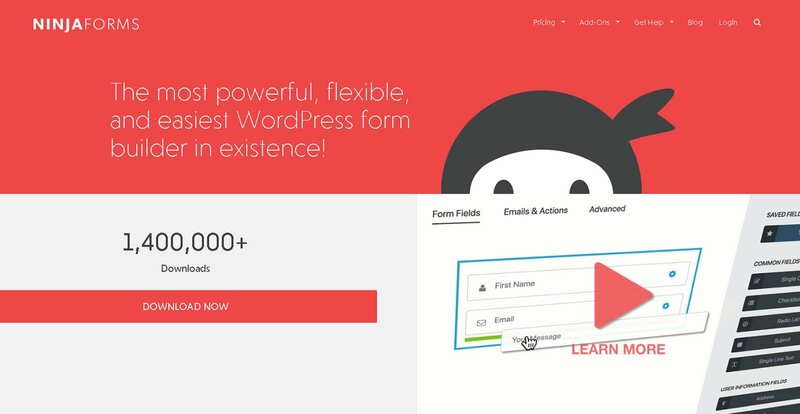 WordPress Form Builders allows Webmasters and Business Owners to create forms on-the-fly without the need to hire developers. These Best Form Plugins also allows integration to other 3rd party services essential for your business such as Mailing lists, Customer Relationship Management (CRM) software and Payment Gateways. 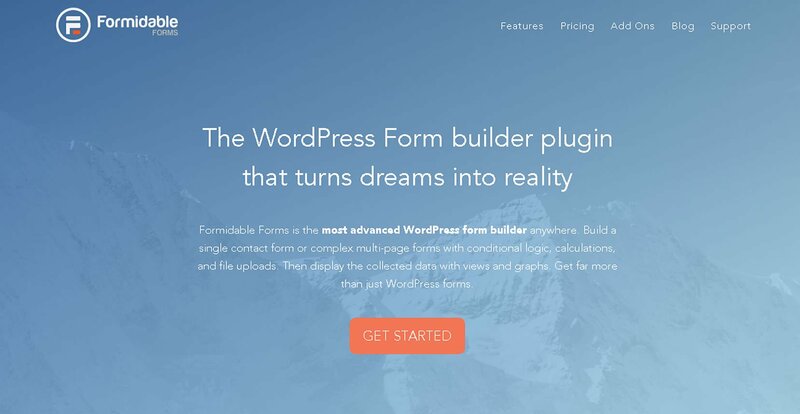 Firstly, we have WPForms, the most popular WordPress Form Builder in the market today. Boasting Over 10,000,000+ Downloads, it’s undoubtedly the market leader. WPForms features a clean and user friendly interface. It features Advanced Fields, Conditional logic and Multi-page Forms. Furthermore, it features pre-designed Form Templates which saves you time from designing one from scratch. The Basic plan comes with 1 site license. This plan is sufficient for general forms. Additionally, it offers integration to the Constant Contact for Email Marketing. Plus Plan is pretty much the Basic Plan with additional integrations. Additional integrations such as MailChimp, AWeber, GetResponse, Campaign Monitor and Drip. The Pro Plan is a comprehensive plan with up to 20 sites support. It features advanced features such as integrations to payment gateways, Surveys and Polls, Form Abandonment and Bonus Form Templates. The Elite Plan extends the license scope to unlimited websites and WordPress Multisite Support. Secondly, we have Gravity Forms, our All-time Favorite Form Builder. Apart from being a Secure and Sturdy Plugin, Gravity Forms also features many advanced features. Features such as, conditional logic, File Uploads, Multi Page Forms and Front End Post Submission. Additionally, Addon plugins are widely available to extend Gravity Forms and integrate to 3rd Party software solutions. This License is suitable creation of Contact Forms and General Purpose forms for 1 Website. Basic Addons are mostly for integration to Mailing list services such as MailChimp and Aweber. Designed specifically for Small Businesses and Teams, Pro License allows installation in up to 3 websites. Pro License also includes Basic Addon and Pro Addon plugins. Pro Addons are designed for integration to productivity and teamwork software such as Slack, Freshbooks, Dropbox and CRM software. Elite License allows installation in up to unlimited websites and WordPress Multi-Site. Particularly suitable for developers or entrepreneurs with multiple websites, The Elite License includes Elite Addons. Featuring Quiz, Polls, Surveys and Webhooks Addons. Next, we have Ninja Forms. Ninja Forms is sort of a mix between Gravity Forms and WPForms. It has a clean user friendly user interface as well as a host of Addons for integration. With over, 1,400,000+ downloads, Ninja Forms without a doubt, powerful. Rather than integrating features such as Multi-Part Forms, Conditional Logic and File Uploads into the core plugin, these features come as additional Addons. However, Ninja Forms does not have any Addons for Quizes, Surveys or Polls. Addons are sold separately. You can buy only the Addons you need. License for 1 website. Includes Basic Addons such as Layout & Styles, Multi-Part Forms, Conditional Logic, File Uploads. 20% off Additional Add-Ons. License for 20 websites. Includes Basic Addons. License for unlimited websites. Includes All 40+ Addons. Last but not least in our list, Formidable Forms. Formidable Forms distinguishes itself from the pack by being not just Form Builder but also an “Application Builder”. What it does is that it has the capability to accept form submission and display them on the front end. For example, you can create Graphs, Directories, Tables, Job boards and Calendars. Furthermore it allows Dynamic Display entries from the currently logged in user with dynamic filtering. i.e. The logged in user only sees his or her own posts. And you have complete control over what your views look like and how they behave. Similar to some of the capabilities of Toolset. Although the learning curve for Toolset could be much steeper. License for 1 website with all Form / Application Builder functions. License for 3 websites with additional Addons such as MailChimp, MailPoet and User Tracking. User Tracking tracks which pages a user visits prior to submitting a form. License for Up to 15 sites. Additional Addons such as WPML Integration, Quiz Maker and several more Email marketing services. All in all, the WordPress Forms Plugins featured here are quality Plugins with excellent support. It seems, however they all cater for different target users. In terms of features, honestly, they are all pretty much on par with one another. WPForms would be an excellent choice if you are running if you are a Small Business Owner. Especially when paired with Constant Contact, you’ll only need to subscribe to the Basic Plan. Hence, this would be the most economical choice. Furthermore, Constant Contact Email Marketing comes with all the tools and support you need to succeed and is Free for the first month. 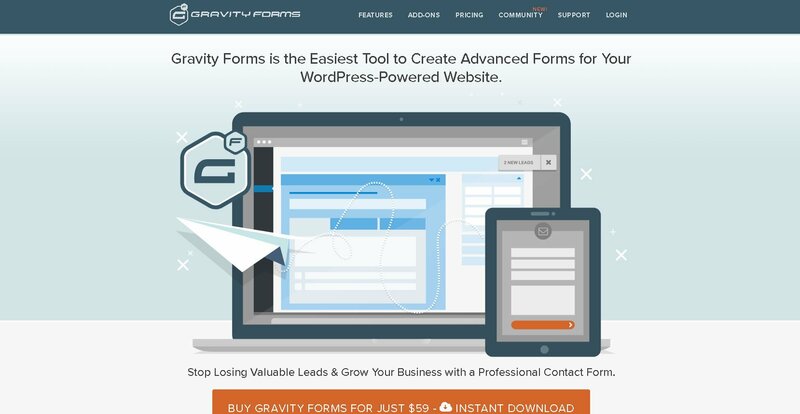 For Developers, our top pick for a WordPress Form Builder would be Gravity Forms. This is because Gravity Forms is have relatively cheaper plans and the wide variety of Addons. And if you need an integration that is not available you can search for a 3rd party plugin. Or write a Webhook. And Formidable Forms offers a unique “Views” Addon should you want to build an application based on Form Submissions. We also like that there is ample developer documentation and an Addon “Formidable API” is available for making customized API calls.